The original “Star Flag” loose-leaf catalog pages are out of print. This Bound Color Edition of the “Star Flag” Catalog Chapter is a permanent replacement and is available online from Amazon.com and retails for $7.00 plus shipping and handling. Please follow the link below to order from Amazon. This chapter contains a comparison of all the 44¢ Star Flag varieties, plus pages featuring stamps from all three printers, Ashton Potter, Avery Dennison and Sennett Security Products. These pages detail all the Technical Details, Die Cuts, Plate Numbers, Back Numbers, Tagging and other Information. In short, a very comprehensive study. Since January 2003, the PNC3 Catalog Committee has published segments of the catalog in loose leaf format. Each year a new catalog segment comes out documenting the previous year’s new PNCs. Also published regularly are Scott/PNC ID Cross References, a Name Index and a PNC Values List. This is the first permanent chapter that we are making available as a bound color edition. We will be making other out of print issues available in the future. Other available sections will include an Illustrated Glossary, 32¢ Flag over Porch, 37¢, 39¢, 41¢ Flags and CCL / Avery Die Cut Varieties. 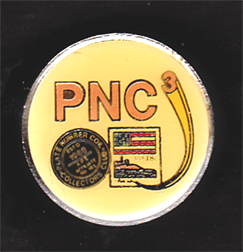 PNC3 Club Lapel Pins are available by mail order from the Treasurer, John Himes, P. O. Box 453, Cypress, CA 90630-0453, or Jill Ambrose, P.O. Box 54622, Cincinnati, OH 45254-0622. Please send a check or money order, made payable to PNC3. The postpaid cost is $5.00 in the USA and $8.00 internationally. The Club Lapel Pins will also be available at the Annual Meeting in August. PNC3 Beautiful Blooms First Day Ceremony Programs are available by mail order from Jill Ambrose, P.O. Box 54622, Cincinnati, OH 45254-0622. Please fill out the order form and then send it, along with a check or money order, made payable to PNC3. 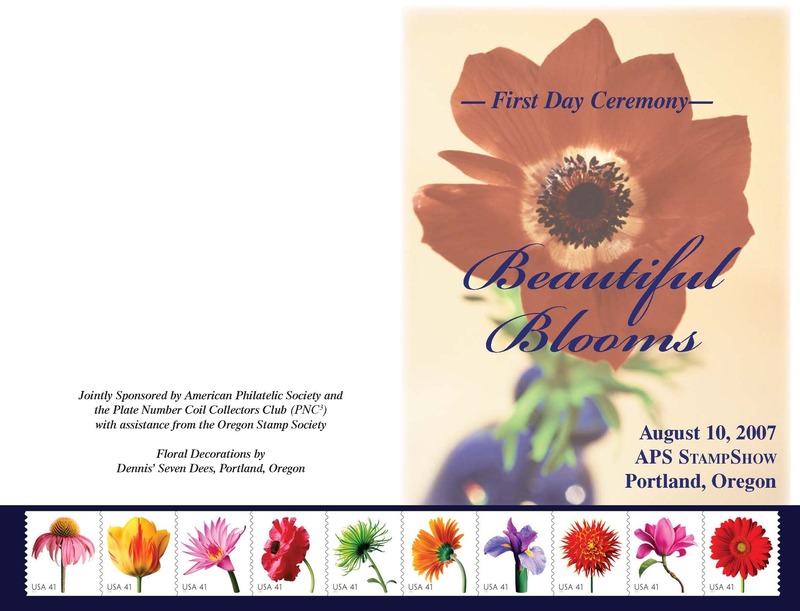 These Ceremony Programs are the Official First Day Ceremony Programs for the 41¢ Beautiful Blooms Coil and Booklet Stamps issued in Portland, Oregon on August 10, 2007. 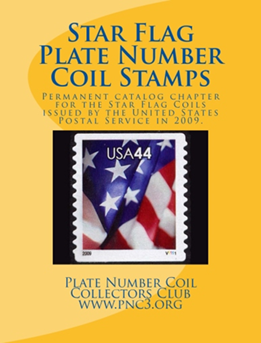 The ceremony was sponsored by the Plate Number Coil Collectors Club (PNC3) and the American Philatelic Society (APS), in conjunction with the United States Postal Service. Click on the image to the left to view the complete printed program. Click on this link to reach the order form. An order form listing all loose leaf catalog publications currently available from the PNC3 Catalog Committee is only available to members. Some items are available only in very limited quantities.